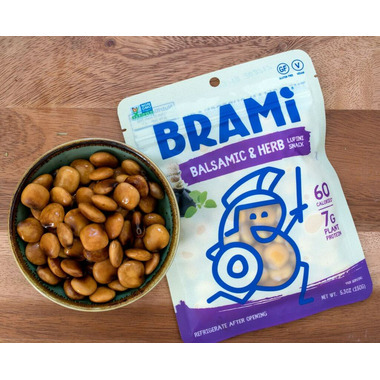 Brami is a lightly pickled legume snack that is incredibly nutritious and deliciously addicting. The sweetness of balsamic pairs nicely with the bold earthiness of oregano. Perfect as a salad topper or simply snack it on its own. 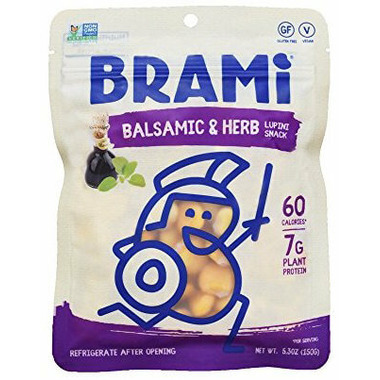 Brami Lupini Beans Balsamic and Herb is simply irresistible. Ingredients: Water, lupini beans, balsamic vinegar, sea salt, oregano. 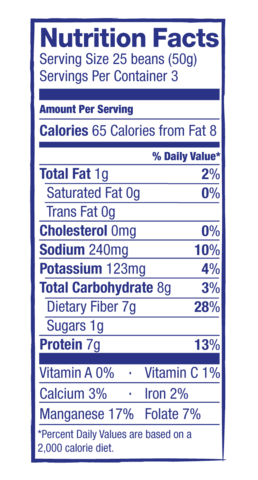 Perfect snack for: Afternoon hunger, pre- dinner appetizer, salad topping, midnight munchies, healthy party snack and more! These are so tasty - great snack.